Select your next vehicle wisely to keep your car insurance rates low. When insurers calculate how much a motorist should pay for insurance, they take into account a lot of considerations. While your age, location, credit score, and more will be considered, everything about your car, including the year, make, and model impacts the rate you receive. 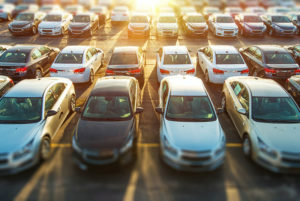 Are you shopping for your next car? Be aware that the type of vehicle affects your car insurance premium. The age of your car will play a significant role in your insurance premiums. This is because the older your car is, the more value it loses. The less valuable your car, the less expensive it may be to repair or replace, making it cheaper to insure because the risk of a large claim is reduced. However, because some cars hold their value for longer, insuring an older car may be cheaper than insuring a newer car in some cases. High-end luxury cars usually cost more to insure because they are valuable to begin with. If the vehicle is in an accident and needs repairs, the parts are generally more expensive than economy brands. Thus they will come with a higher insurance premium. Cars are rated on two main factors, which are derived from all of the information above. What it all comes down to is the value of your vehicle and the risk of theft or accidents. Theft statistics will impact comprehensive costs since theft is the most common source of claims against comprehensive coverage. In general, high-end vehicles are more desirable and may be subject to higher rates of theft. However, this isn’t always the case, especially if your new vehicle has added security features – which can help to keep your premiums low! For the affordable and reliable car insurance, contact the experts at Bell Black Insurance. We serve all insurance needs for those in Idaho Falls, Island Park, Driggs, Victor, Swan Valley, Ashton, and the neighboring communities in Idaho, as well as Jackson and Star Valley in Wyoming.